Taking a substantive course in Professional Responsibility at your law school will familiarize you with the broad general concepts that the MPRE will test. A law school Professional Responsibility course by itself will not completely prepare you for the MPRE exam. However, learning the basic concepts involved in professional responsibility from a law school course will make it easier for you to absorb the information in the study aids for the MPRE that the National Council of Bar Examiners provides. In addition, some jurisdictions, including New York and California, include Professional Responsibility as a possible test subject in the essay portion of their bar exams, so taking a Professional Responsibility course in law school will also prepare you if an essay question on Professional Responsibility shows up on your bar exam. The next MPRE test dates are November 5, 2016, March 18, 2017, August 12, 2017, and November 4, 2017. Free Sample Test Questions, “similar to those on the MPRE,” and an MPRE Online Practice exam that contains not only questions but also annotations explaining why a particular answer choice is correct or incorrect. You can purchase one year access to the MPRE Online Practice Exam for $35. Access to this practice exam is well worth the price because the best source of practice exams is always the individual or organization that produces the real exam. Various bar review courses, including BarBri, Kaplan and Themis, also offer free study materials and practice exams for the MPRE. Once you have registered for a particular test date, you need to start studying about five weeks before the actual exam. Review any substantive study materials written by the bar review courses, then take the sample questions provided by the National Council of Bar Examiners. Once you have finished, review the sample answers and see how you did. For each question you missed, review the annotated answers and determine why you missed the question. 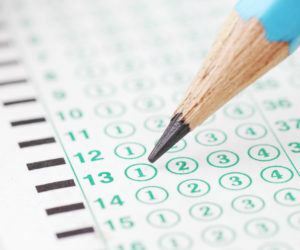 Were you unfamiliar with the particular legal rule involved, or did you make a mistake because you failed to use a good multiple choice test taking strategy? If you made a mistake because you were unfamiliar with a legal rule, make flash cards of the rules you missed and use the flash cards when you are waiting in line for something or have some other free time. If you discover that you are missing a lot of questions because you don’t know the legal rules, consider purchasing a set of Professional Responsibility flash cards or getting some one on one tutoring help. If you discover that you are missing a lot of questions because you failed to use a good multiple choice test taking strategy, consider one on one tutoring to help you develop a good multiple choice test taking strategy. Learning a good multiple choice test taking strategy will prepare you for the general Multistate Bar Exam substantive area of law multiple choice questions as well as the MPRE exam. If you are having trouble with multiple choice questions, it is best to learn the right test taking strategies for multiple choice questions as soon as possible. Once you have finished with the sample questions, take the Online Practice Exam on an untimed basis. When you finish taking the Online Practice Exam, review the annotated answers, make flash cards if you need to learn particular rules, and consider learning multiple choice test taking strategies if you need to improve your multiple choice test taking technique. After you have taken the Online Practice Exam once, you can use the practice questions furnished by the various bar review courses. I recommend taking one practice exam a week. Finally, about a week and a half before the real exam, take the Online Practice Exam from the National Council of Bar Examiners again, and this time take it on a timed basis. Once you are finished, review the answers to any questions you missed and do some extra studying in those areas. I wish you all the best of luck on the MPRE. If you follow the steps described above, you will maximize your chances of passing the MPRE exam.